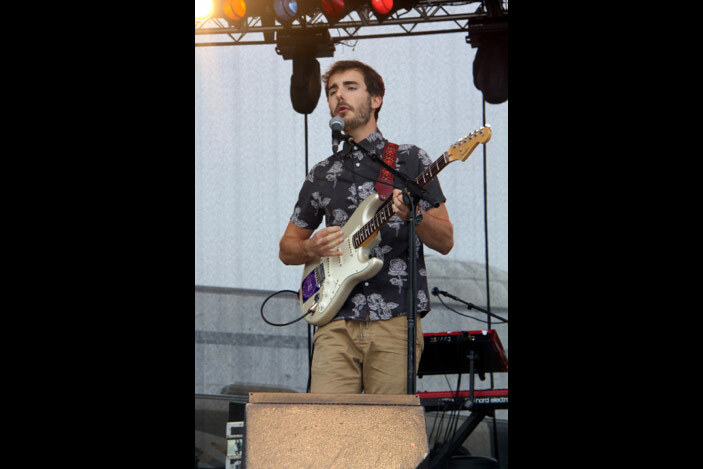 The Shadowboxers, made up of Emory alumni, kicked off the Homecoming Concert on Saturday afternoon. Scott Schwartz graduated from Emory College in 2011. Adam Hoffman graduated from Goizueta Business School in 2011. As students, the trio won the first-annual Emory Arts Competition in 2008. Matt Lipkins, also a 2011 Emory College graduate, rounds out The Shadowboxers, who all met as freshmen at Emory. Steady rain couldn't dampen the enthusiasm of fans who still packed McDonough Field to see Indigo Girls, made up of Emory alumnae Amy Ray and Emily Saliers. 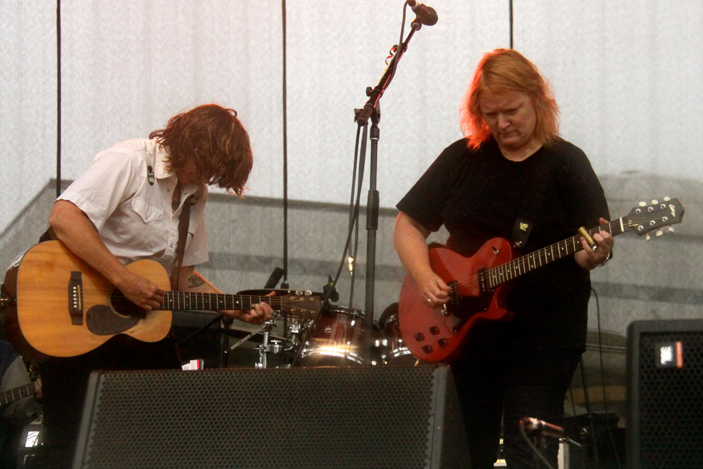 Indigo Girls played a full set in the rain to cheers from the crowd. 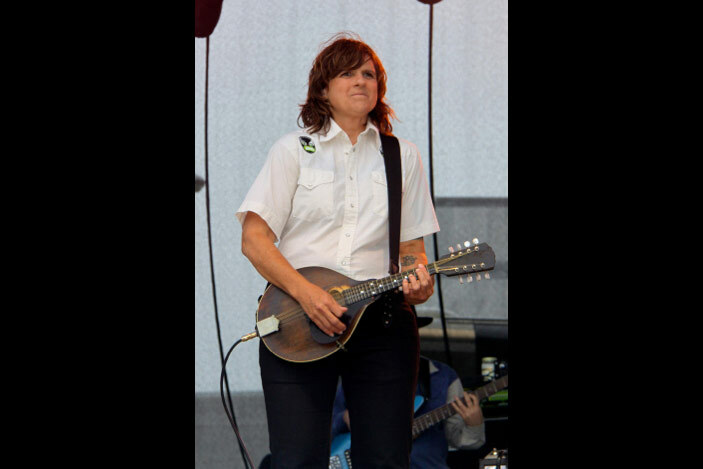 Amy Ray graduated from Emory in 1986 with a double major in English and religion. 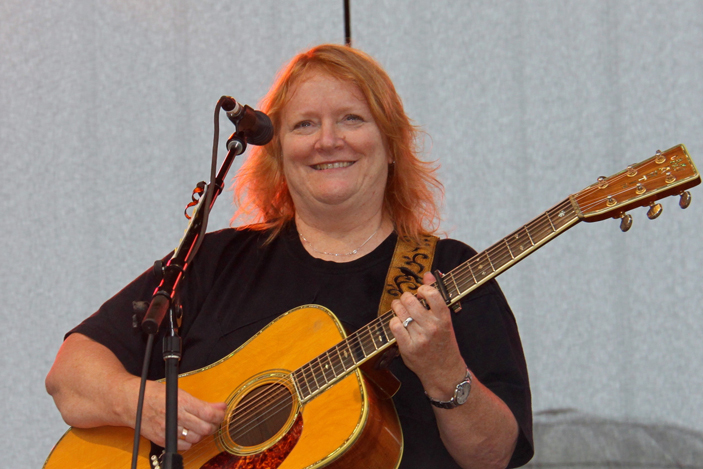 Emily Saliers noted that Saturday's concert marked her 30th college reunion. She graduated in 1985 with a major in English. Indigo Girls kept fans singing along throughout the show, performing a mix of songs from their new album, "One Lost Day," and plenty of older favorites. 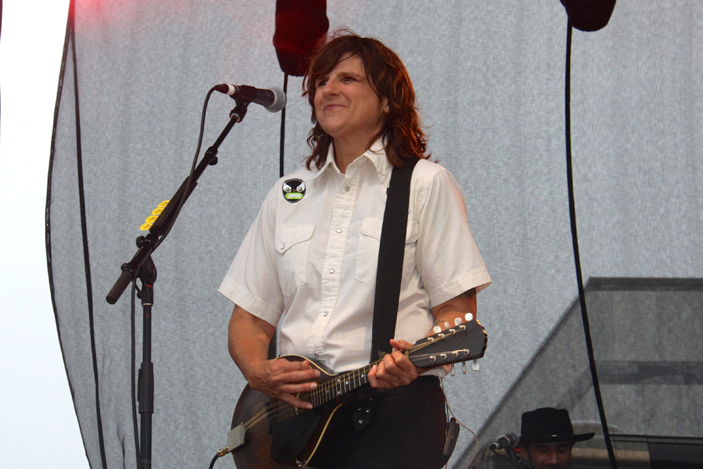 Thanking her parents, who were part of the rain-soaked audience, Amy Ray noted that they are also Emory graduates. Emily Saliers also thanked her friends and family, and later paused to hug her toddler daughter who came out on the stage. 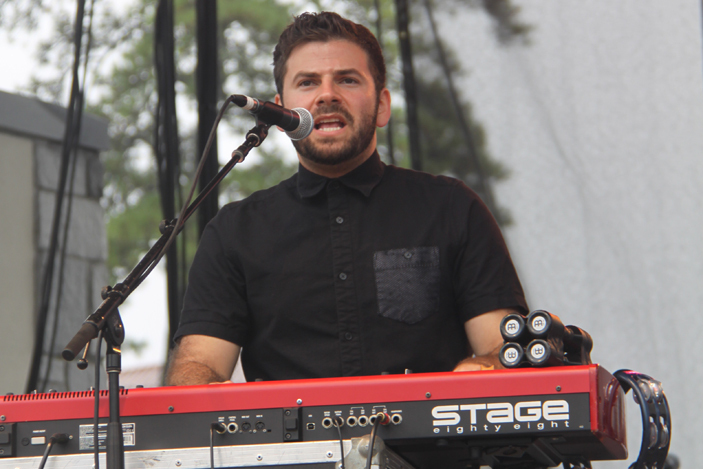 Indigo Girls and The Shadowboxers, two bands made up of Emory alumni, performed for the 2015 Homecoming Concert. Performer photos by Laura Douglas-Brown; crowd photo by Kay Hinton. 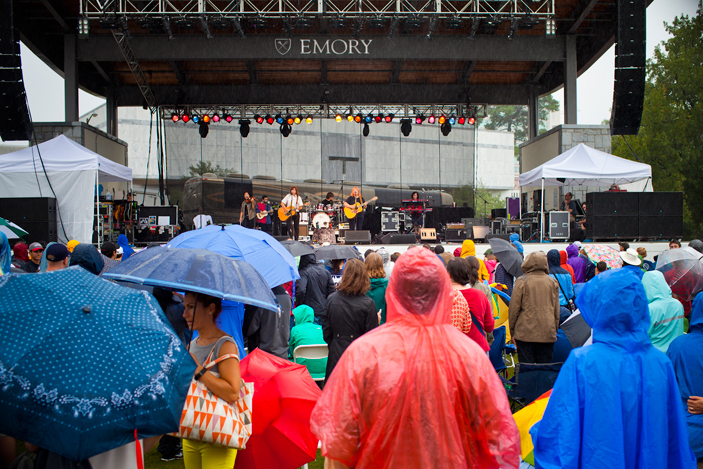 Two bands made up of Emory alumni kept spirits high during the 2015 Homecoming Concert on Sept. 26, as the audience of students, alumni, staff and families cheered and sang along despite persistent rain. The Saturday afternoon concert opened with The Shadowboxers, including members Scott Schwartz 11C, Matt Lipkins 11C and Adam Hoffman 11B. 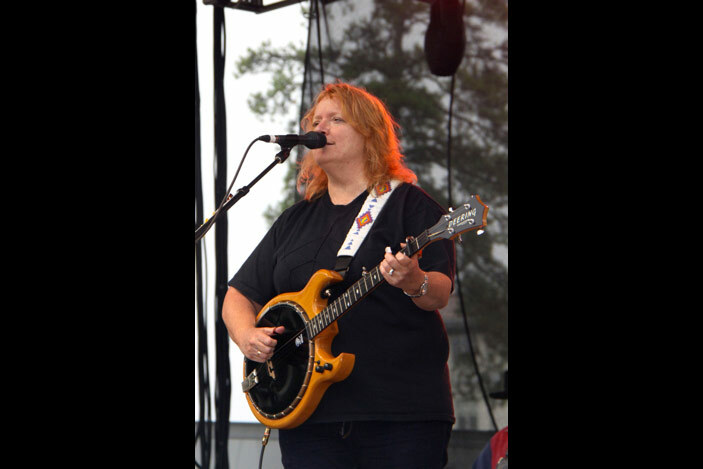 By the time the headlining act, Indigo Girls, took the stage, a rather soggy McDonough Field was packed with fans sporting rain jackets and umbrellas. Despite the weather, Amy Ray 86C and Emily Saliers 85C played a full set featuring a mix of songs from their new album, "One Lost Day," and older favorites including "Hammer and a Nail," "Wood Song," "Least Complicated," "Faye Tucker," "Ozilline" and "Go." 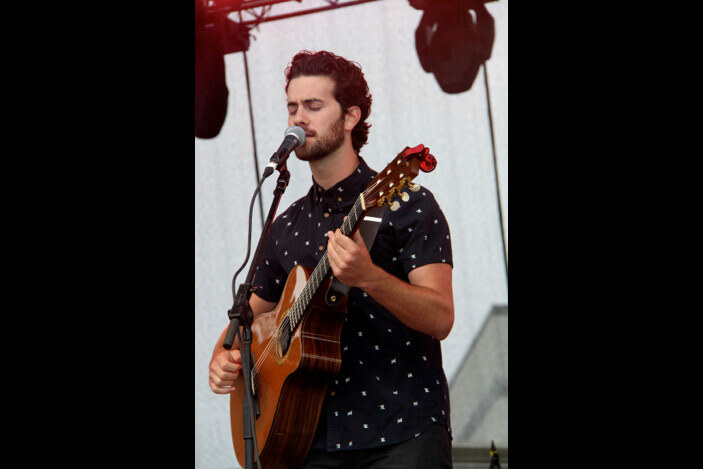 They were joined on the stage by The Shadowboxers to close out the show with a cover of Bob Dylan's "Tangled Up in Blue" and their first hit, "Closer to Fine."